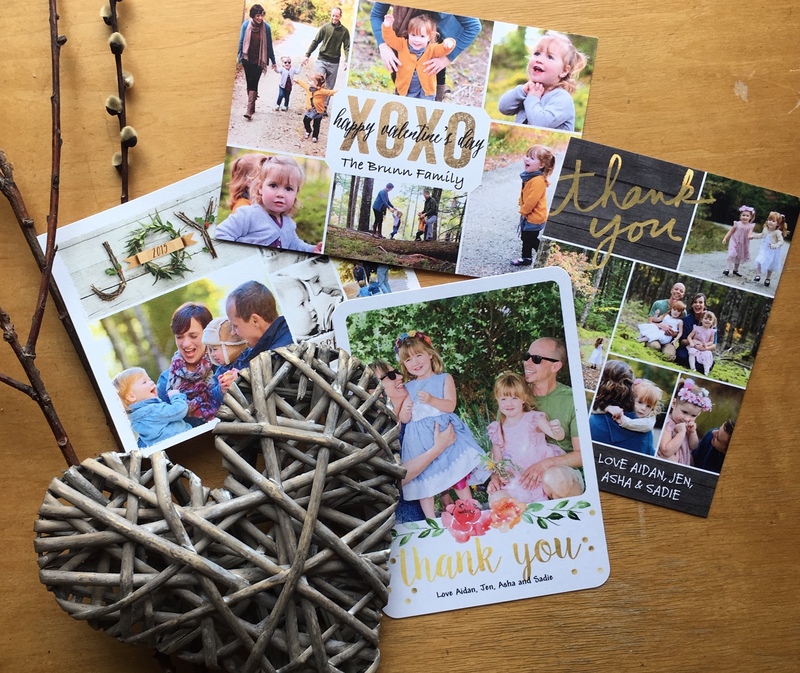 Every year, I try to put together a family card that celebrates the past year and looks forward to the new memories that the upcoming year will bring. Why a card to signify this? I love sending and receiving mail. I love that there is something tangible that I can hold in my hand that represents the entire year. I love the idea that eventually there will be an album of these family cards that I will be able to give to my children when they grow up. I love that (no matter how hard I tried), I couldn’t seem to find the time to print pictures and make a family album each year. Even though I really, really wanted to. The first family card I sent was, of course, a Christmas card. I somehow managed to find the time and got everything together to create the card, had them printed, shipped to my house and mailed every single one of them out to all of our family and friends. The next year – I somewhat chuckled at the idea of ever being able to make that deadline again during the busiest time of year—for my family and the Schoolhouse. So, this year, I decided on Valentine’s cards instead. What a terrific idea it was, and a nice change of pace. In fact, our friends and family seemed tickled to receive them in the dead of winter vs. during the rush of the holidays. That’s when I realized I was onto something. I decided to never send a Christmas card again. If I’m being honest, it was stressful for me and everyone else was just as busy as we were. Recently, I’ve taken that idea and decided to run ever further with it. Moving forward, we’ve decided on ‘thank you’ cards. These cards acknowledge our gratitude for our circle of family, friends and celebrate the past year. A ‘thank you’ card ensures that there is no specific deadline for completion nor a specific date that they need to be sent out by. Sometimes, it can take upwards of two months to prepare everything required to send cards out. But the beauty in this — is that it really doesn’t matter. No pressure. No deadline. Just taking my time spreading joy. Honest to goodness, the best decision I ever made.